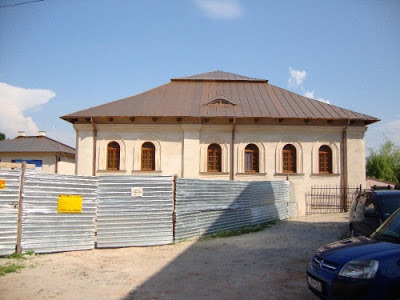 (ISJM) For many years I have been recording the challenges and successes of the Foundation for the Preservation of Jewish Heritage in Poland (Fundacja Ochrony Dziedzictwa Żydowskiego), best known by its Polish acronym FODZ. The Foundation continues to rank among the most successful and sustained efforts to manage, maintain, preserve and promote immovable Jewish cultural heritage. 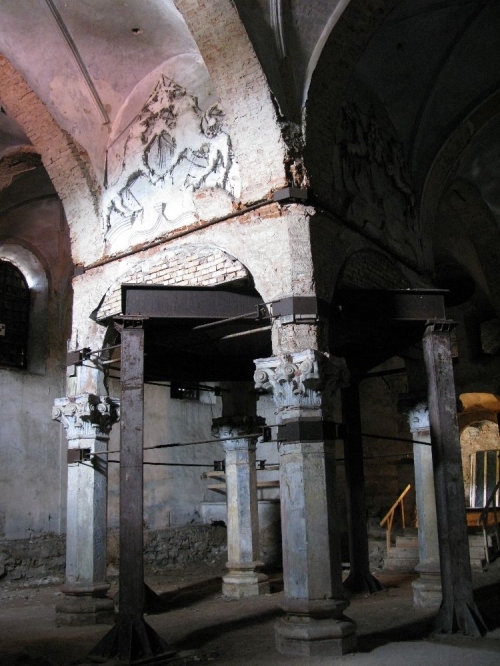 This year we celebrate the tenth anniversary of the Foundation and on the occasion FODZ has produced a book introducing many of its most impressive projects in cemetery and synagogue protection, conservation and protection. The book with its many excellent and often dramatic photographic illustrations is available as a downloadable pdf here. A decade of demonstrated success by FODZ now provides an example to be followed in other countries of the world (for example in addition to East European countries such as Belarus, Ukraine, Romania and Moldova, the model could also be adapted in more distant places with small Jewish communities by large stocks of Jewish monuments, such as Morocco and India. The book is published as part of a project co-financed by the Minister of Foreign Affairs of the Republic of Poland within the framework of the program 'Cooperation in the field of public diplomacy 2012'. Partners of the project are the Taube Foundation for Jewish Life and Culture and the Union of Jewish Religious Communities in Poland. For a full accounting of the foundation's many other commemorative and educational programs, as well more complete documentary and photographic evidence of the site it manages, one should still consult the Foundation'sever-expanding website. 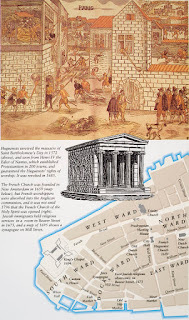 For readers worried about the state of Lower Manhattan two weeks after Hurricane Sandy, you can see for yourself on a walking tour of those spaces and places known to Jewish during the colonial period. While few physical traces remains of the first Jewish houses or the first synagogue that stood on Mill Street, The Lower East Side Conservancy will introduce the Jewish history of the area. Gershom Mendes Seixas, (1745-1816), first native-born Jewish minister. The tour will also include a visit to the still extant, but usually closed, Jewish cemetery of Congregation Shearith Israel located at Chatham Square in Chinatown. A perfect ending for those who'd like to head for some dim sum (spoiler alert - there were no Chinese restaurants for Jews or anyone else in old New Amsterdam). You can read more about Shearith Israel cemeteries here. Join us as we trace the origins of Jewish settlement in New Amsterdam. We will visit the former locations of Jewish sites in Lower Manhattan and discuss their historical significance. Sites include early Spanish and Portuguese rented synagogues and Mill Street Synagogue, the first synagogue built in North America. A tour of Congregation Shearith Israel's cemetery at Chatham Square (now Chinatown) is included. 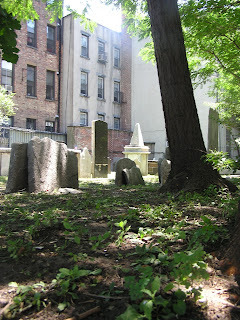 This is the oldest known Jewish cemetery in New York City. 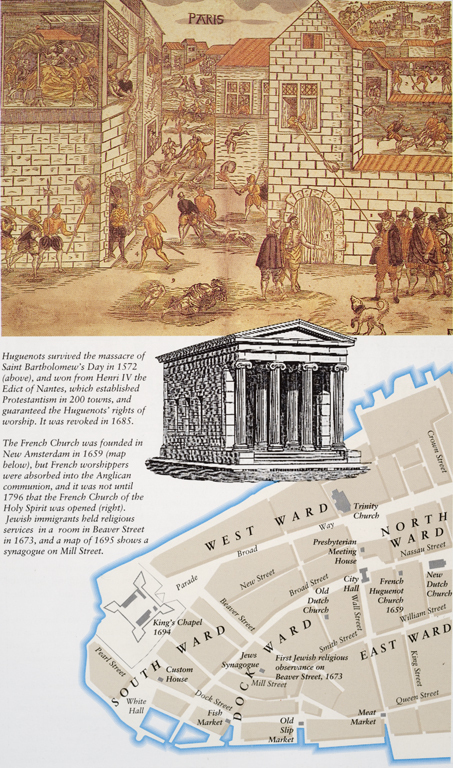 From 1654 to 1825 all Jews in New York City belonged to this one congregation. This Jewish cemetery dates from 1683. Meet at the corner of Pearl Street and Broad Streets across from Fraunces Tavern. Today is Veterans' Day - originally Armistice Day - celebrating the end of the First World War - the War to End all Wars (that didn't). In honor of all Veterans, but especially Jews who fought and died on both sides in World War I, I refer you to some images of Jewish war memorials from Italy, Hungary and the Czech Republic that I first put only line in May 2009. I am also adding a new one from the New Jewish Cemetery in Worms, Germany that I visited in 2011. worms, is much better know for its Old Jewish Cemetery and medieval synagogue and Judengasse, but it had a prosperous Jewish community until the rise of Hitler. 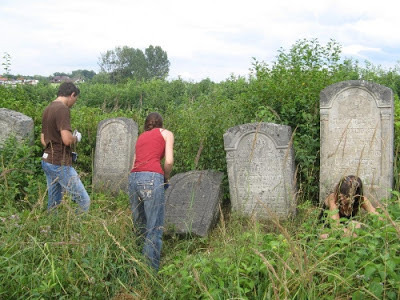 The Jewish community had been trying since the late 19th century to establish a new burial ground, since the old Jewish cemetery was filled. In 1910 the community was able to establish the Hochheim cemetery, right next to the Hauptfriedhof Worms (Friedhof Hochheimer Höhe), with a separate entrance. The new cemetery was inaugurated in 1911, just a few years before the war. Inscribed in gold letters over a triumphal archway is the phrase "Unsern Henden" (Our Heroes). Nineteen of Worms' Jews were killed in the war, their names are listed on the monument. The monument was restored in 2006 with help from the Rotary Club Worms. Ruth Ellen Gruber has posted more examples of Jewish War Monuments on her blog. Click here.